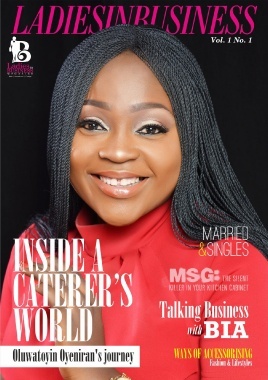 Meet Adeshola Onadipe the lady set to change everything for Ladies in Business worldwide through her Magazine! Adeshola Onadipe, Executive Editor of Ladies in Business Magazine; a creative Online Business magazine for ladies who are Entrepreneurs, Business starters, intending business owners, young entrepreneurs and upcoming ladies in business, not only generates story ideas, assigns stories to freelancers and regular contributors, writes feature stories , conducts celebrity interviews, edits all copy, oversees professional photo shoots, but she still top it up by being a Great Wife and a spectacular Mom(whew!). Adeshola is a passionate woman ; one who will definitely change the way women in business are viewed in Nigeria and beyond, they will be SEEN, they will be HEARD AND they will certainly be RECOGNISED and Come 7th of July,2018, Adeshola will officially launch the magazine which is now in its third edition. How she was able to do it all and hold it together is one of the reasons KMB set out to interview her, with the hope that; we could get her to spill one or two secrets about her super woman ability and who knows she may even end up dashing us some kryptonite. Lol!. 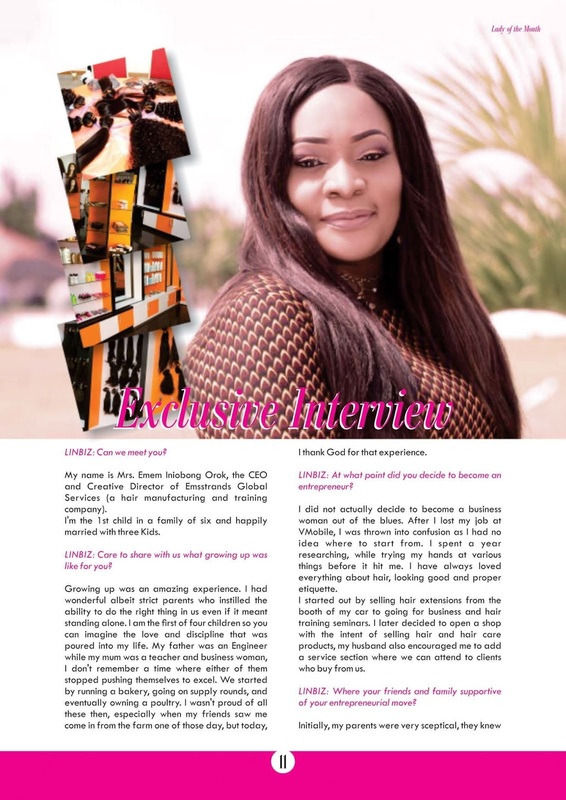 Trust me when I say her interview will be enjoyable read ………..
ADESHOLA: Oh yes! 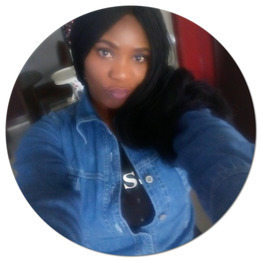 😀 My name is ADESHOLA HELEN ONADIPE, I’m from Ijebu-ode in Ogun state, where I had both my primary and secondary school education. I later moved to LAGOS and went to YABATECH and LASU to study Accounting. I worked at Oceanic bank (now ecobank) and FCMB for a while before I started my Event Management business 6yrs ago (SHOLSKONCEPT EVENT). 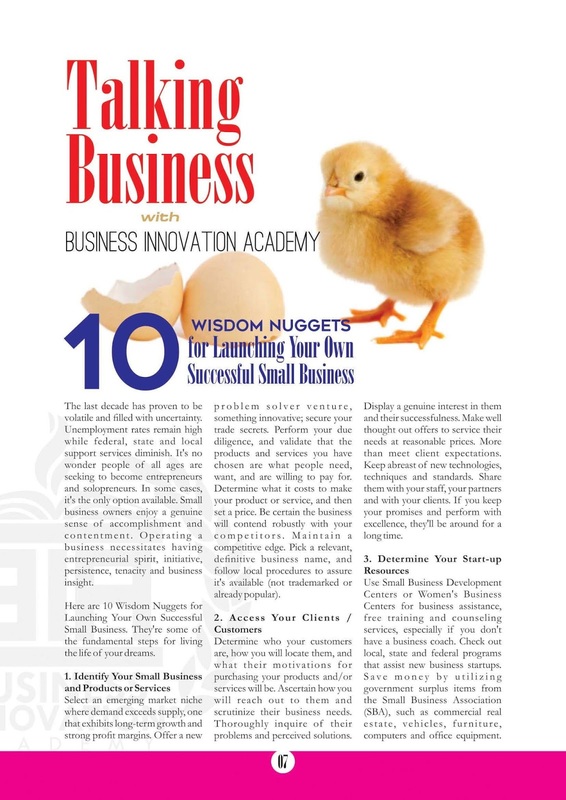 Thereafter, I started a Business Innovation Academy where we help people discover their hidden passion, we then go ahead to train them and help them hone their respective creative abilities after which we give them some financial aids to start up with. 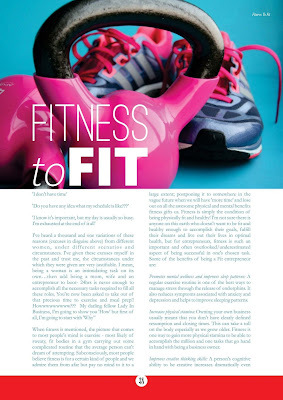 Right now, I'm in my 3rd line of business, which is a Magazine, called LADIESINBUSINESS MAGAZINE. 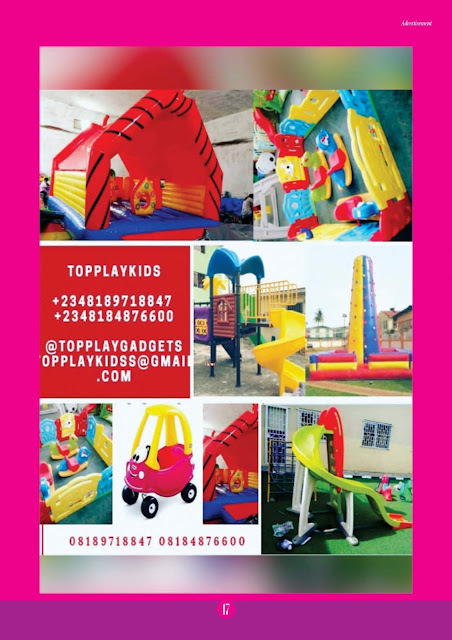 It's the first of its kind in Nigeria. The magazine serves as a platform where we showcase upcoming businesses belonging to Ladies ONLY. We are simply transcending from a platform of training and development (which is BUSINESS INNOVATION ACADEMY) to another platform that will showcase them to the world through branding and various strategies we already have in place. This we believe will bring great IDEAS, INNOVATION and total CHANGE to them and their businesses. KMB: When and how did you decide to become an editor? 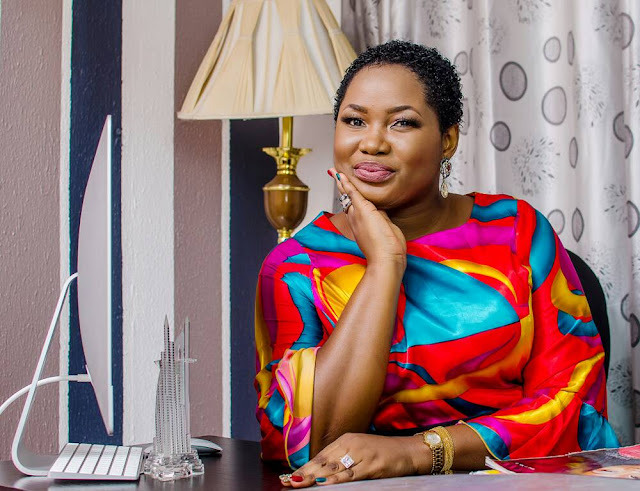 ADESHOLA: I decided to become an editor through a personal experience of mine as a lady in business. I have observed that; entrepreneurs in Nigeria (over 17million and still counting) are lacking in many ways. Yes they've got the skills and the product but, there's no place or platform for them to reign, shine, develop and grow within their own terrain without any fear of intimidation or segregation. 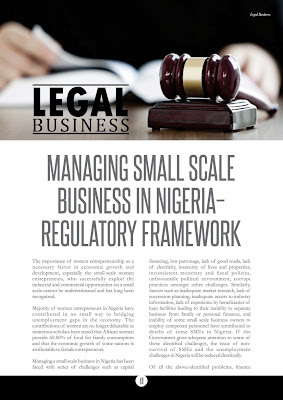 We have lots of other organizational platforms who claimed to be doing this, but their impact so far on SMEs is yet to be felt. This was the reason why I decided to take up the mantle and help these entrepreneurs by being their voice through my magazine platform. KMB: What made your magazine different from others on the market? 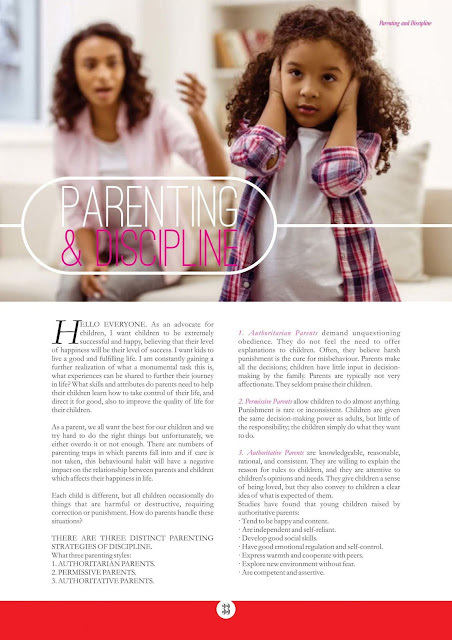 ADESHOLA: This is a significant question which I always love to clarify. 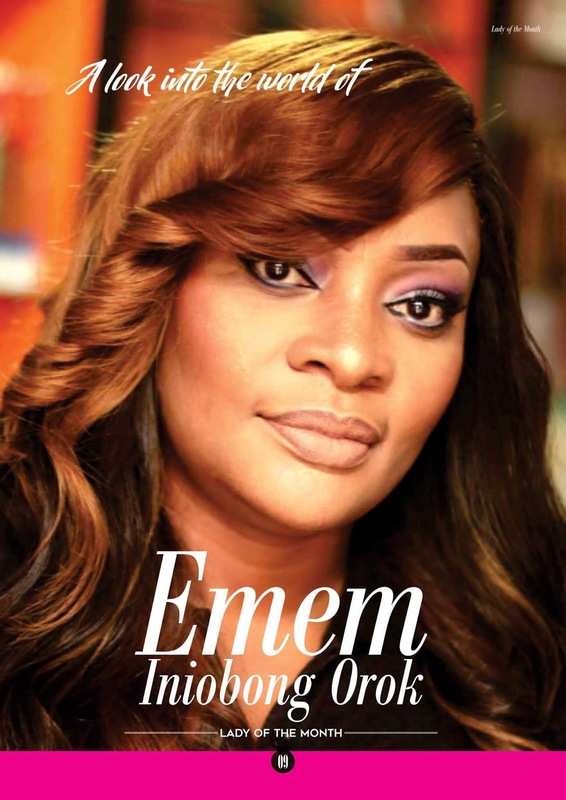 Before I started, I did a thorough research to look out for any magazine meant ONLY for ladies doing business unfortunately, there was none. However, I came across some that talked about entrepreneurs and how they can grow and develop their businesses. But there was none in particular centered on women. 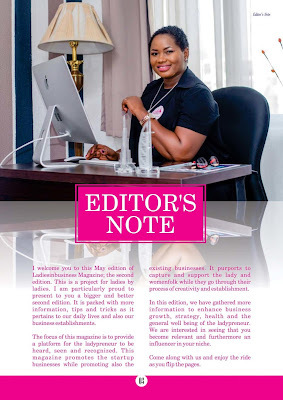 And since women in business are yet to get the kind of attention and recognition they deserve, I thought to myself that; why can't we have a dedicated magazine for ladies with upcoming businesses and name it LADIESINBUSINESS MAGAZINE? It is common knowledge that, women generally have lots of issues to deal with (We run the world you know? )😀😀 it follows therefore that; since much has been given to us by God, greater things are expected from us. With this in mind, its quiet obvious why we are very much different from every other magazine out there, it’s because of our FOCUS, our MISSION, VISION, IDEAS and INNOVATIONS. 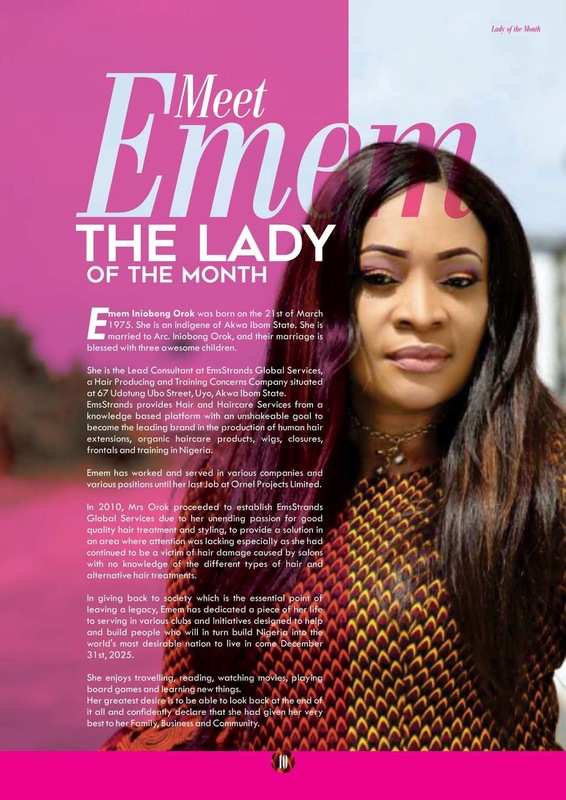 KMB: What’s your mission with Ladies in Business magazine? ADESHOLA: Our Mission is simple and clear. 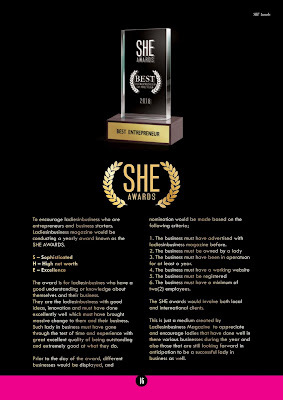 It says: To ensure that every lady in business is prepared and ready to be SEEN, HEARD AND RECOGNISED without fear of competition but, with great confidence to excel. 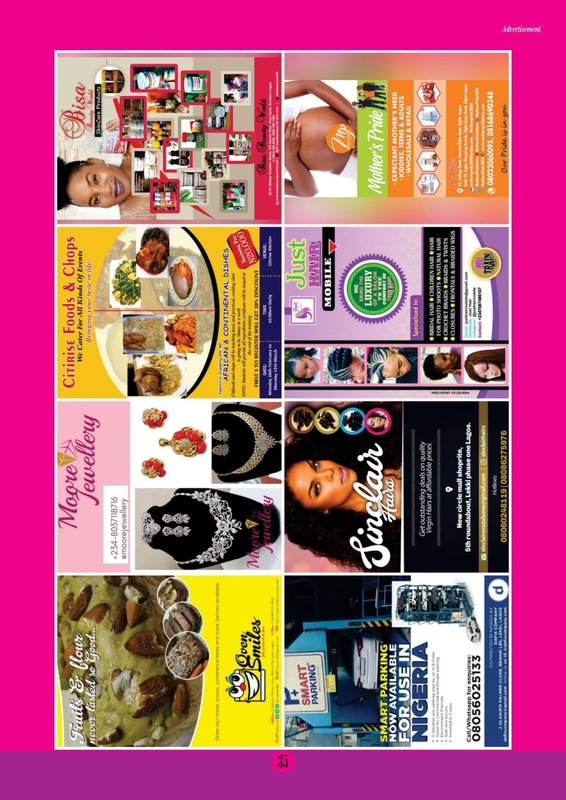 This we intend to achieve through many ways that are strategically positioned towards the development and growth of every lady in business. KMB: Where do you get ideas for your articles? ADESHOLA: Well, everything that comes my way as an experience and other things that I have noticed has been my driving point to bring out the various segments in this magazine. Ideas and creativity definitely come to me as we develop the magazine from one edition to another. KMB: As an editor, what does a typical work day look like for you? ADESHOLA: Hmmm! my day can be either hectic or normal. Most times I always had tons of things that demand my attention. This made me realize that, I need to find a balance between my home and my official duties, and luckily, so far, I have always managed to juggle both. I also have those days, when I’ll just sing the song by Bruno Mars, " today I don't feel like doing anything, I just wanna lay in my bed" 🤣🤣. Truth be told however, I ensure I always take a break whenever I realize I'm overdoing it and stretching myself too thin. KMB: Since going public with the first issue, how has the market reception been? ADESHOLA: So far, the support has been overwhelming; the magazine has been very well received. I always have People tell me, yes! This is what we have been waiting for. Yes, this is very beautiful and it's what we will like to be a part of amidst so many other positive remarks, testimonials and prayers. The reception has been amazing and very positive and this shows that we are certainly on the right track. KMB: What major challenges have you had to deal with? And how did you devise solutions for those challenges? ADESHOLA: Our major challenge was actually at startup. It wasn't easy to bring out to people something new, unique and different from the usual. The fear of how the market reception will be kept me up at night. But, since I have been in the entrepreneurship market for a while, I had an inkling of what I may face along the line. The move we made by going on social media first to create awareness with the magazine really helped a long way. We started by putting up creative pictures of who we are, what we want to do, how we are going about it and the goals we tend to achieve at last. The response was positive such that from 1200 followers, we are now close to 5000 followers on our Instagram page alongside our other social media platforms. Social media has really helped. KMB: What can you say made your magazine such a big hit with your readers? ADESHOLA: When you create a business that is customer centric then, you will definitely find your niche from such business. 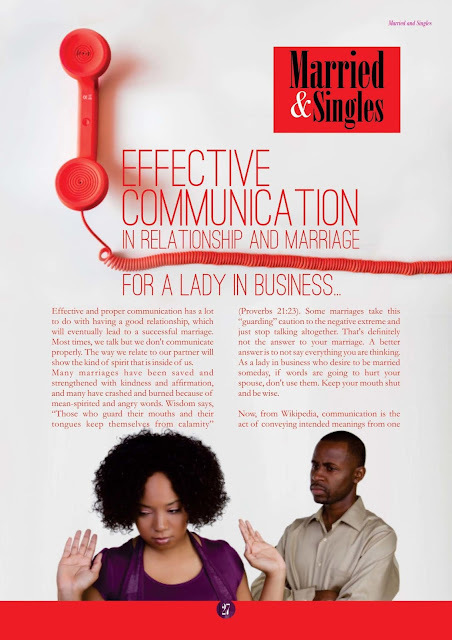 The magazine is actually meeting the need that every lady in business is craving for. For example, putting new and unknown faces on the front cover page of our magazine is something golden to an upcoming business owner. We are taking unknown faces and making them to be a known face. We want to be their voice; we wanted them to be SEEN, HEARD AND RECOGNISED. Knowing this, it made it easy for our readers to identify with our niche and key into our dream. KMB: How would you describe the typical Ladies in Business reader? Who are they, what are their interests and why do they buy the magazine? 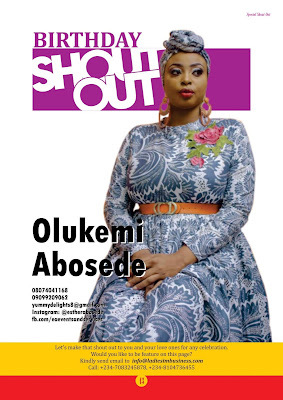 ADESHOLA: Typical Ladies in business readers are very busy and constantly on the lookout for what will help their businesses. They are very inquisitive and interested in learning something new that will help them grow and develop in all ramifications. They are the ones who buy the magazine to promote themselves and their business because this magazine is what they have been craving for; they effortlessly key into it. KMB: What can you say give you peace? ADESHOLA: Hmmm!!! That’s like an endless question. 😀 First of all, knowing fully well that God is always with me in whatever I lay my hands on and that it shall be successful, that gives me an unbeatable, everlasting peace. 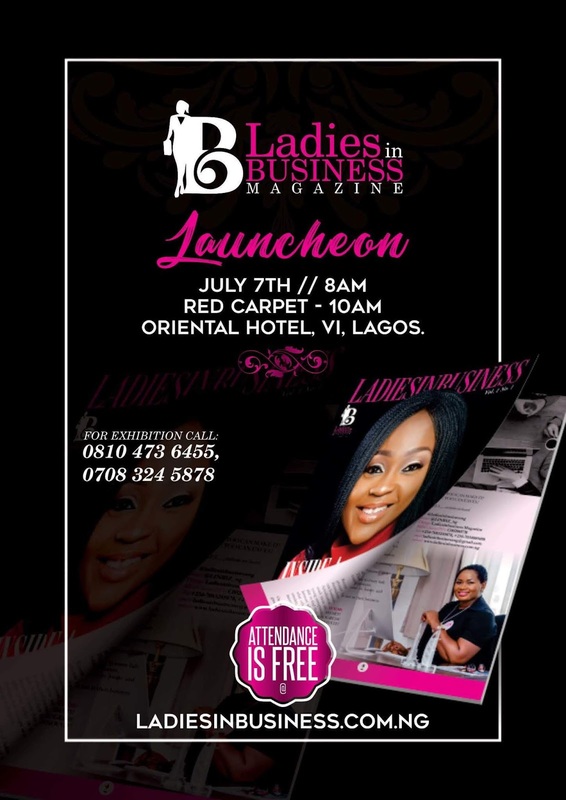 Then, seeing that people are actually buying into Ladiesinbusiness Magazine gives me an awesome feeling. 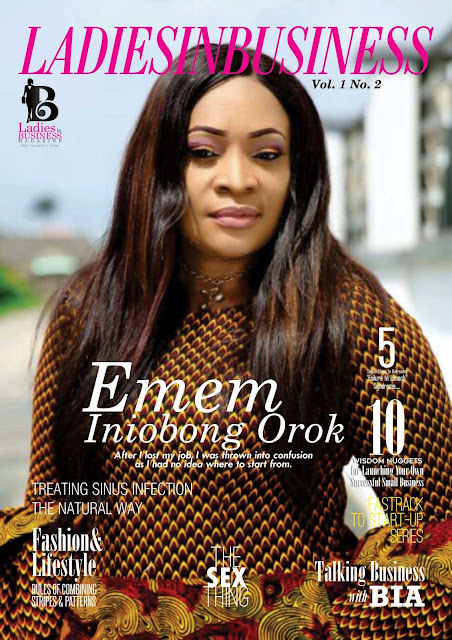 When people get solutions for their business issues through the magazine platform……this gives me a great sense of fulfillment and joy, not only peace. 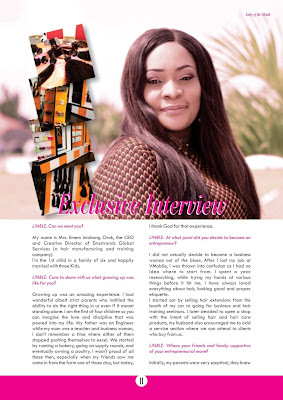 KMB: What’s your vision with LADIES IN BUSINESS MAGAZINE? 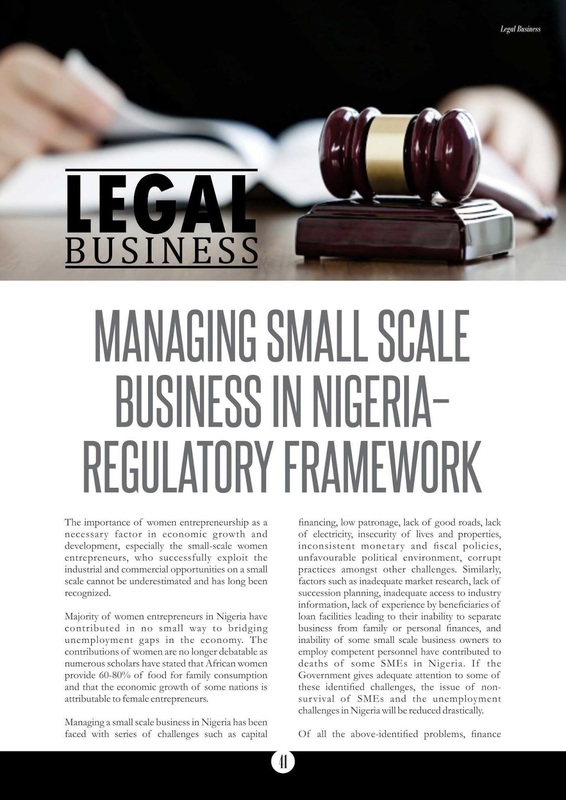 ADESHOLA: Our Vision is wide-ranging as it encompasses bringing massive positive changes to ladies doing business worldwide. We believe that; in 20yrs time, we would have been able to cover the whole world. KMB: What are your plans for Ladies in Business magazine in the next 1 year? ADESHOLA: In the next one year, we would have been able to have both local and international partners who will help and collaborate with us to deliver excellent business training, growth and development in all areas. The aim is to ensure all ladiesinbusiness are ready and prepared to excel. By then our dream of covering Nigeria would have been realized. 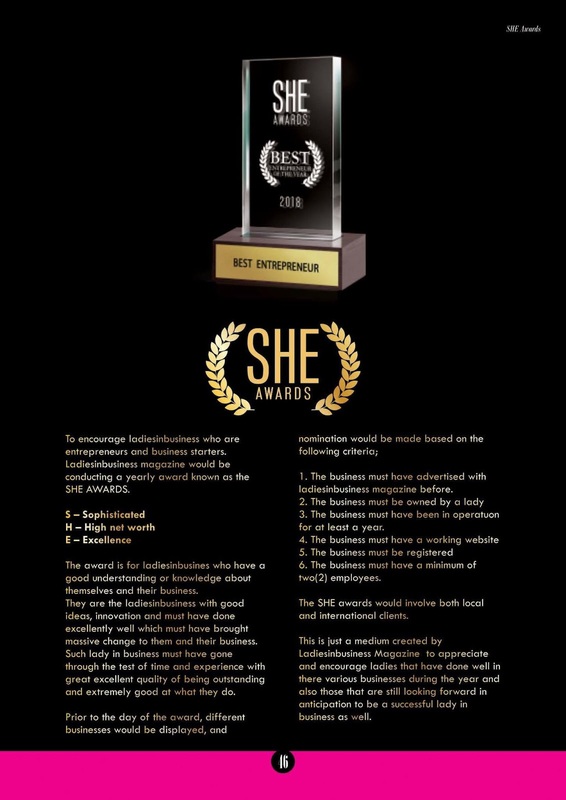 We would have organized our first award program (S.H.E Awards) which is aimed at appreciating the work and effort of all ladies in business by then. KMB: How will you like anyone who wants to be a part of the ladies in Business magazine to contact you? ADESHOLA: We are in love and appreciate all what the ladies in business around the world are doing. It gives us great pleasure to render a helping hand. Find below more pictures of what awaits you in the magazine!